“Visualize this thing that you want, see it, feel it, believe in it. You have probably wished for something at least once in your lifetime. Some wishes did come true, while others appear to be a struggle. Even if wish manifestation happens to be a challenge for you at the moment, you have to agree that our Universe is abundant. In order to manifest your wishes and tap into the abundance of the Universe you just need to know the algorithm and physics behind manifestation process. There are many different manifestation, affirmation, and the law of attraction techniques as well as wish spells out there. For some they work like a charm and create miracles, for others they just fail to bring results (see: “9 Essential Rules To Manifestation Techniques Beyond The Law of Attraction“). One question still remains, is there a way or a technique that can give real power to your wish manifestation process, to help you create the reality you always wanted? 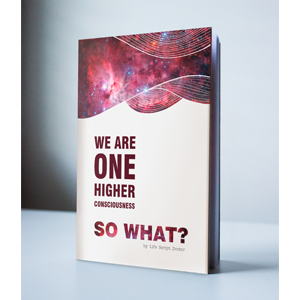 Years of studying and practicing different consciousness awakening systems (e.g. spiritual science Infosomatics, ancient Ukrainian energy-informational system of SPAS, Northern Tradition, Numerology, etc) led to the discovery of many different creative visualization and manifestation/meditation techniques. In this article, you will learn about one of many techniques that can aid in your wish manifestation journey of self-discovery. The following manifestation technique is called “Glass of Water”. It is based on the fact that water is a powerful energy-informational conductor and possesses certain healing properties. Similar wish manifestation techniques can be found in “Silva Method”, “Transurfing”, different energy healing modalities as well as ancient rituals. It can really open up your inner wish manifesting abilities, help you find answers and give you an energy boost in achieving something that you wish to come true in your life. In simple terms, this technique adds a lot of power to your affirmations and helps to program your body towards manifesting your wishes. To start with the technique you will need a clean sheet of paper or a post-it note and a glass of water (preferably good quality water). Please write down your wish that you want to come true in a form of an affirmation. For example, if you want to attract a partner in your life then you should write something like: “I am in the right place at the right time to meet my perfect partner. I am ready to give love and receive love. I am ready to share my life with the partner who will help me realize my full potential and I will be the catalyst for his/her self-realization as well. My life is filled with passion and romance.” You don’t have to use the same words in the affirmation. There are many affirmation lists on different topics online. You can just pick the field you want your wishes to come true and use the affirmation that resonates with you the most or write one yourself (writing one yourself usually works much better because you involve your creative essence in the process). This whole process might sound silly, however, your bodies on the higher levels of consciousness do need to hear about your needs. This way they will be able to synchronize their energies with the work of your brain and heart (see Beyond Human Aura Energy Field – Human Heart vs. Human Brain)which will enlight the direction you need to go in order to fulfill your wishes. Keep in mind that any kind of manifestation technique/meditation or creative visualization is just a template or a thought-form that gives you a chance to interact with higher levels of consciousness more effectively. It is in no way a panacea for materializing all your selfish desires. After you chose your affirmation (it could be about getting a new job, acquiring financial independence or even health-related affirmations including weight loss) write it down on the sheet of paper or the post-it note and attach it to the glass of water (remember the experiments with water conducted by Dr. Masaru Emoto). You can also just place your glass of water on top of the sheet of paper with the affirmation. Don’t make the affirmation too long so you can easily remember it. The key is your intention and your ability to concentrate on the state of being described in your affirmation. Have some FAITH – Feel As If This Happened! In the next step, you need to activate the energy in your hands. One of the simplest ways to do it is to rub your palms against each other. This simple trick activates the energy flow in your hands (rub it like you mean it though). 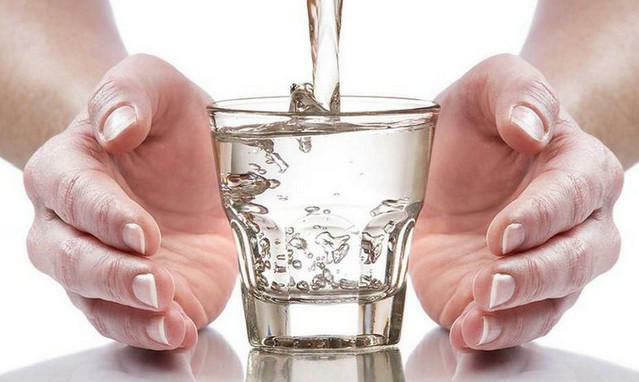 Now, place your palms around the glass of water (as seen in the picture). Some people prefer touching the glass with their hands, while others are more comfortable with keeping their hands on a short distance from the glass, which gives them a chance to feel the energy flowing between their hands. State the affirmation with your voice or silently in your mind (when you say it out loud you actually give more power to the affirmation simply because you involve your voice in manifestation process). Now vividly visualize the state of being described in the affirmation while concentrating on sending your energy towards the water in the glass between your hands. Your energy flows where your attention goes. Thus, when you concentrate your energy on the glass of water while visualizing your wish and stating your affirmation, you are charging it with the thought-form of your wish. 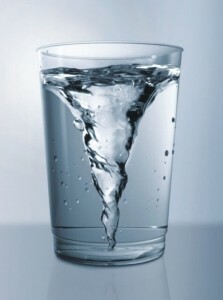 Remember, water is a very powerful energy-informational conductor. You can charge the water for as long as you feel comfortable, but don’t overdo it (usually, around 2-5 minutes is enough). Now, drink that glass of water. You can practice this manifestation technique every morning and/or every evening before you go to sleep. As you might already know, many doctors advice to drink at least one glass of water every morning after you wake up. You can easily make this “making a wish come true” technique a part of your morning routine or you can make it your everyday evening wish manifestation meditation. If you have more than one wish that you want to come true, then use a separate glass for each wish and make sure that nobody drinks from the glass you are using for the technique. If you want to add even more power to this technique, write the affirmation on the New Moon and do it for the first two weeks. Around the full moon, you should already see if you are moving in the right direction towards manifestation of your wish (other insights, as well as advanced practical knowledge on how to enhance your ability to manifest your wishes as well as stay in the energy abundant state, are explained during the webinar and personal online sessions). Certain wishes could take hours, days, weeks or months. It all depends on their complexity and how much energy you have to manifest them. The power of your intention and its synchronicity with what your higher-self wants are the keys to this manifestation technique. You charge the water with your intention and when you drink the water you activate your whole body with that intention (as you might already know the human body is about 60-75% water anyway). After you drink the water, your physical form gets charged with the intention of your wish. It is like placing a wish manifestation compass inside your body. It will guide you towards manifesting of your wish if you are willing to listen and act in the right direction. This technique is very powerful. By directing your attention and energy through your hands towards the water in the glass you localize and power up your intention to manifest what you wish for in your life. Water records the information you send it. 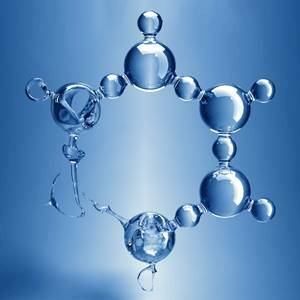 After you drink the water, the energy-informational particles spread all over your body and tune your morphological field into emitting the intention you gave it. Water is a very gentle element and it is easily influenced by the energy coming from your hands (even if you can’t consciously sense it yet). If you are new to feeling the energy, don’t worry, it will come with practice. Another important aspect of this manifestation technique is being true to yourself. You have to take full responsibility for your wishes and for the outcomes your thoughts or affirmations would bring. Your emotional energy state is vital to the success of this powerful manifestation technique. If you are wishing for something that you really need and it will help you realize your full potential (see “How Knowing Your Cosmic Address Can Help to Realize Your Potential“), then “Glass of Water” manifestation technique can really speed up the process of materializing the new reality where your wish is manifested. P.S. Here is a short 7min clip from a webinar explaining the “Glass of Water” technique and remember to share the knowledge with a friend! You can also learn advanced manifestation/visualization techniques, powerful guided meditation (one of my personal favorites) to help you clear energy blocks, detailed explanation of the physics behind wish manifestation process as well as wish manifestation algorithm that you can implement from home based on the wish-granting mystical “Temple of Fulfilling Wishes” (Myanmar) by watching the full webinar “How to Make a Wish Come True with Advanced Manifestation Techniques” . For personal guidance and practical knowledge on how to manifest your wishes see the details on “How to Manifest Your Wish” online sessions. Adriana, that is wonderful that your wish came true! Can you share a little more info –like how exactly did you do your water wish? What affirmation did you write? And how fast did your wish come true? What was your wish? Can you please tell me how you did the water method and what was your affirmation or wish? How long did it take to come true? etc….and what did you do with the paper when you were done writing on it? and when you were done drinking the water, what did you do with the paper? This is so wonderful! I would like to know what do we do with the paper that was taped on the glass of water after we drink the water? do we keep the paper? throw it away? burn it? and how often should we do this? The paper is merely a focal point to focus your intentions. Do with the paper what will most make the statement on it more meaningful to you. This is a great idea….I have heard about this in different form. Like training your subconscious mind to the way u want to. Let me try this and see the result. Thanks for sharing your idea.